Some scholars allege that when Jesus died he literally bore our sins in his body on the cross. Others believe that Christ only bore the penalty for sin. Which view represents the truth of the matter? Did Jesus Die a Sinner? 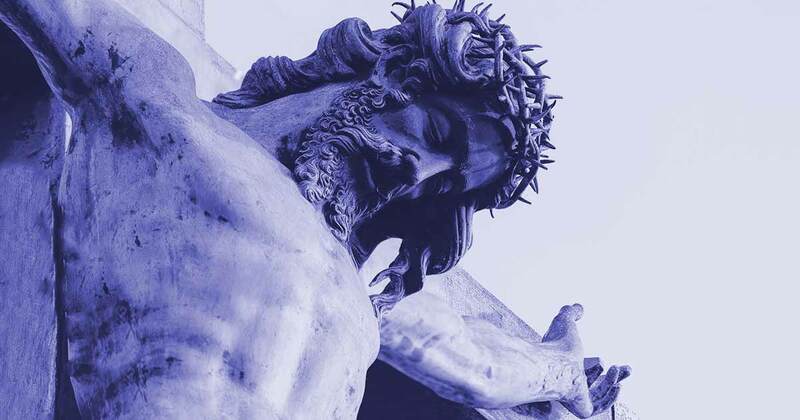 A number of prominent sectarian theologians contend that as the Lord languished upon the cross, he *literally bore our sins in his body", so that, in a sense, Jesus actually died in sin. He alleged that the Lord lost his innocence at Calvary, and died as a sinful being (quoted in Barnes, 1955. 334-335; also available online). A Lutheran scholar has written: “it is Scriptural to say that God did impute the guilt of man to the innocent Christ” (Pieper, 1951, II.353 — emphasis added). A Presbyterian writer, James M. Boice, asserted that when Christ died upon the cross [tree] he, “violated the law — through no fault of his own — [and] he became technically guilty of all of it [the law]” (1976, 10.460). Another states: “More awful than the pain of physical suffering that Jesus endured was the psychological pain of bearing the guilt for our sin.... God imputed our sins to Christ” (Grudem. 1994. 573-574; emphasis original). Another writer alleges that “our sins [were] transferred to Christ” and accordingly he became “a sinner” on the cross (Choate, 69). The theory is false for two reasons. First, if Christ was guilty of sin on the cross, then his punishment was just. And, as Barnes observed, if it was deserved, there can hardly be merit in it for others (1955, 133). This dogma strikes at the very heart of the Christian system and the atoning death of our Savior and logically reflects outright heresy (though some appear to be unable to follow the dogma to its inevitable conclusion). In addition, the theory of imputed sin is nonsensical. Sin is an act committed by personal choice (1 Jn. 3:4). It is a behavior or activity that does not conform to the divine standard (Danker, 2000, 51). A person cannot be sinful by the act of another person (Ezek. 18:20). But it isn’t surprising that sectarians so contend because they generally are committed to the dogma of inherited depravity. What is extremely odd is that members of the Lord’s church would advocate this view. Guy N. Woods once reviewed an article contending for the ludicrous notion that Jesus bore the guilt of our transgressions on the cross. He described it as “beyond all doubt, blasphemous in nature.” He responded to the superficial arguments employed in its defense. Those who have access to it should read this essay (1976, I.338-340). Generally speaking, those who hold this view of imputed sin also contend that in the process, the *righteousness of Christ" is imputed to the pardoned sinner. Neither is correct. All humans suffer the consequence of Adam’s sin (Rom. 5:12), but not the guilt (as alleged by Calvinism). And as a result of Christ’s atoning death and our obedience to him (Rom. 6:17-18), we are “reckoned as righteous” before God (Rom. 4:5). In a manner of speaking, his perfect sacrifice was “credited to our account” (cf. Danker, 2000, 597). No personal righteousness of Christ is transferred to us directly. “[T]hough Christ was free from sin, he underwent the punishment of death, which is the consequence of sin: he was accounted as a sinner” (Bloomfield, 1837, II.197; emphasis original). Christ was punished as a sinner—though he was not a sinner. So similarly, when we submit our lives to Christ and become obedient from the heart to his teaching (Rom. 6:17), we are delivered from sin. We are counted as righteous (i.e., receive the blessings and inheritance of a righteous one) even though we were servants of sin. Advocates of this view often appeal to such passages as Isaiah 53:6; John 1:29; 2 Corinthians 5:21, Galatians 3:13; Hebrews 9:28, and 1 Peter 2:24 to support their argument. For example, the latter text affirms that Christ “his own self bare our sins in his body upon the tree.” But Peter’s declaration can hardly mean that the Lord became infected with sin while upon the cross. The apostle already had declared that Jesus died as “a lamb without blemish and without spot” (1 Pet. 1:19). If the Lord died, having absorbed sin, Peter’s previous language becomes meaningless. What, then, is the explanation of these passages? They involve a common biblical figure of speech known as metonymy. In this figure, a subject is named when in reality something associated with the subject is intended. Any good textbook on sacred hermeneutics (the science of Bible interpretation) will provide ample evidence and illustrations of this figure of speech. “Literally, Christ could not be sin; He was wholly without sin; and the only way for the language to be true is by the use of this form of metonymy. He became a sin-offering for us” (n.d., 284; Bullinger, 1968, 584; cf. Eph. 5:2). Either that or else Christ was allowed to suffer as if he were afflicted with sin—which, of course, he was not, in any actual sense. J. H. Thayer saw the metonymy as a use of the “abstract for the concrete,” with the sense being: “Though Jesus knew no sin, i.e., he was sinless, nonetheless God allowed him to be treated as if sinful” (1958, 31). In describing certain sacrifices offered under the Levitical code in connection with the priests’ consecration, Moses instructed: “But the flesh of the bullock, and its skin, and its dung, you shall burn with fire outside the camp; it is a sin-offering” (Exodus 29:14). Note the final expression in this text — “sin-offering.” In the Hebrew Bible, the term is simply “sin” (see ASVfn). The root form means to “miss (a mark), fall short.” It occurs about 595 times in the Old Testament, and in about 40% of these instances, it metaphorically denotes a “sin-offering” (Jenni & Westermann, 1997, 406-407). Thus, because the context clearly indicates that a sacrifice is in view, virtually all translations render the original word as “sin-offering” in the Exodus text. Clearly, that is the meaning of the expression (cf. Leviticus 10:17). Peter’s statement, that the Savior “bore our sins” (1 Pet. 2:24), does not suggest that the Lord carried the “guilt” of human sin in his body personally. Here the term “sins” conveys the sense of the penalty of sin that we justly deserved. A passage from the pen of Jeremiah will illustrate the proper meaning. In his lamentation over the fall of Jerusalem, the prophet wrote: “Our fathers sinned, and are not; and we have borne their iniquities” (Lam. 5:7). No one contends they literally took upon themselves the sins of their ancestors. But the Jews suffered the consequences of generations of rebellion against God. Similarly, God instructed the prophet Ezekiel to draw a depiction of the forthcoming siege of Jerusalem (587/6 B.C.) on a soft clay brick. The prophet’s subsequent actions would reflect divine judgments upon the kingdoms of Israel and Judah. The current generation, however, would “bear their iniquity” (Ezek. 4:4). The offspring of earlier apostates did not bear the guilt of those previous generations. They did suffer the consequences of earlier rebellion. When the writer of Hebrews declares that Christ will “appear a second time, apart from sin” (Heb. 9:28), he certainly did not imply that Jesus, at the time of his death, became a sinful person by assuming the guilt of others. Earlier the writer had emphatically declared that the Savior was “without sin” (Heb. 4:15). Thus, the meaning of 9:28 is this. When Christ comes again, it will not be to provide a redemptive plan for sin. That was achieved by the first coming. The second coming will be for judgment (Heb. 9:27). The Scriptures do not teach that Christ died as a sinner or that he in any sense had absorbed sin. That theory is an error that results both from sectarian theology and in not identifying the figurative language of the sacred writings. Barnes, Albert. 1955. Notes on 2 Corinthians & Galatians. Grand Rapids, MI: Baker. Choate, Betty Burton. 2000. Jesus Christ The Eternal Sacrifice. Winona, MS: Choate Publications. Bloomfield, S. T. 1837. The Greek Testament With English Notes. Boston, MA: Perkins & Marvin. Boice, James Montgomery. 1976. “Galatians.” The Expositor’s Bible Commentary. Frank Gaebelein, Ed., Grand Rapids, MI: Zondervan. Grudem, Wayne. 1994. Systematic Theology. Grand Rapids, MI: Zondervan. Jenni, Ernst & Westermann, Claus, Eds. 1997. Theological Lexicon of the Old Testament, Peabody, MA: Hendrickson. Pieper, Francis. 1951. Christian Dogmatics, St. Louis, MO: Concordia. Woods, Guy N. 1976. Questions and Answers – Open Forum – Freed-Hardeman College Lectures. Henderson, TN: Freed-Hardeman College.